Available as a round, 100g bar, the Cle de Peau Synactif Soap comes with a beautiful acrylic case (as is expected for a $100 soap). The case is equipped with an elegant lid that shields the soap from getting splashed with water droplets. Therefore, you can safely keep the soap next to the sink without worrying about it constantly getting wet. Additionally, the bottom dish is ridged and ventilated so the soap has a chance to fully dry down between each use. 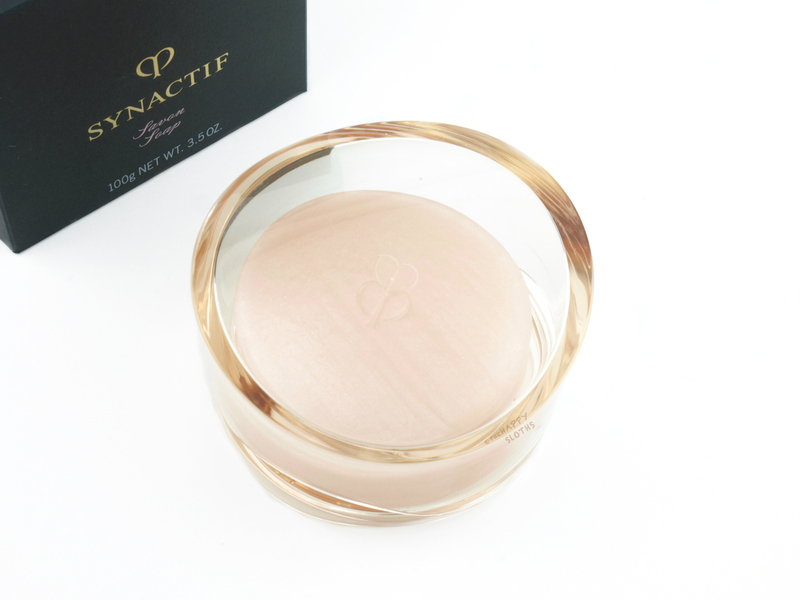 Made with various fatty acids, sugar, glycerine, and two types of hyaluronic acid, the Synactif Soap is infused with the light floral scent of the Cle de Peau Rose Synactif fragrance. The formulation lathers extremely well so you don't have to rub the soap too many times to get enough product. In fact, just a couple of swipes with a wet palm provide more than enough. 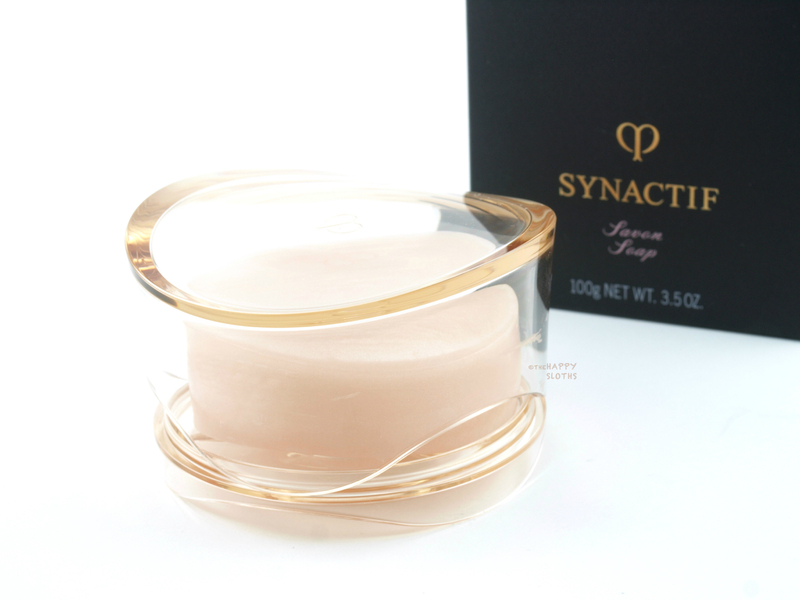 Similar to a foam cleanser, the Synactif Soap creates a super fine and luscious lather that feels gentle and calming. It does an excellent job at removing most makeup although it's best to pre-cleanse with a cleansing oil or micellar water if you are dealing with waterproof eye or lip makeup. Once the soap is washed off, my skin is left feeling squeaky clean but not stripped of its moisture. Additionally, unlike traditional bar soaps, the Synactif does not leave behind any filmy residues. Overall, this is an excellent face cleanser. The packaging is divine and the formulation is gentle yet effective. With that said, it's hard to justify spending $100 on any face cleanser, let alone a bar of face soap. However, if you have the money to spend, then the Synactif Soap is a great luxury item to include in your everyday skincare routine. Cle de Peau is available in Vancouver at Holt Renfrew. For more information, visit www.holtrenfrew.com.